Roberto Rincon and Abraham Shiera have pleaded guilty in a United States courts to bribing officials at Venezuela’s state oil company. 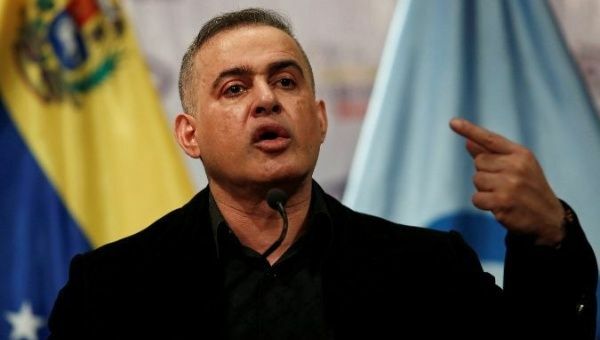 May 12 (teleSUR) Venezuela’s chief prosecutor, Tarek William Saab, says his office is in the process of initiating extradition request for two Venezuelan businessmen, who are scheduled to be sentenced in Texas in the United States, for operating a vast bribery scheme. Roberto Rincon and Abraham Shiera were detained in the U.S. in 2015 and had pleaded guilty to bribing officials at Venezuela’s state oil company Petroleos de Venezuela, or PDVSA, to secure lucrative contracts. Saab went further Friday, saying that the businessmen were responsible for a scheme that embezzled $1.16 billion from the state oil company. “Both citizens should be here, and the state prosecutor’s office will initiate all formalities so that they are at the order of the Venezuelan justice, as it should be,” Saab said. His office is also actively seeking twelve other people as the Venezuelan government has vowed to crackdown on corruption. Venezuelan President Nicolas Maduro has said his administration is also going after “financial mafias.” During a press conference last week he said that authorities had detained 250 bank officials and employees who had siphoned millions of Venezuelan bolivars – the national currency. Days before his announcement, government officials had discovered an illegal currency extraction operation they call, “Paper Hands,” which allegedly attacks the Venezuelan economy through the illicit transfer of Venezuela’s currency out of the country, mainly to Colombia. Venezuela’s Vice-President Tareck El Aissami announced that 1,133 accounts – mostly from the Banesco bank – have been blocked for transaction irregularities revealed by the “Paper Hands” investigation on May 3.